The LA Unified Bond Oversight Committee today agreed to approve another $25 million in bond fund spending to help the district fix MiSiS problems and equip schools with computers for standardized testing in the Spring. A team of district officials, including Superintendent Ramon Cortines, made lengthy presentations to the nine member committee, insisting that in both cases the district would fail to comply with state and federal mandates without the additional financial help. About $12.1 million of the money approved today is intended to provide a series of temporary “band aids” for MiSiS that will cover the costs of fixing bugs, stabilizing district servers so they can handle high volumes of traffic, and adding customer support and help desk staff. It will also pay for the implementation of MiSiS at the district’s charter schools, which the district has delayed doing despite a legal obligation. Hill estimates it will cost about $1.3 million to integrate them into the student data management system. Earlier in the week, Cortines announced he would be asking the bond committee for $53 million, but today he said the district had revised the figure, pending an assessment of future needs by MiSiS team leaders. “We are being prudent and responsible by only requesting enough funding to carry us through February 2015,” Cortines said. But he added that he will return to the committee in January to request more support. The committee also gave the go-ahead for disbursing another $13 million to buy a combination of iPads, keyboards, Chromebooks and device carts in anticipation of the Smarter Balanced tests in the Spring. All students in third through eighth grade and all 11th graders are required to take the computer exam this year. Last year only a small fraction of district students took the test, and a review of the field test found a slew of problems preventing students from completing the test. The most common complaint was that students were not able to connect to the internet. The district’s plan is to spend the $13 million as well as an additional $9.2 million it has in reserves from the last batch of approved bond funds to buy approximately 20,000 testing devices. Unlike the tablets and computers purchased under the one-to-one program, these will not be pre-loaded with instructional curriculum. 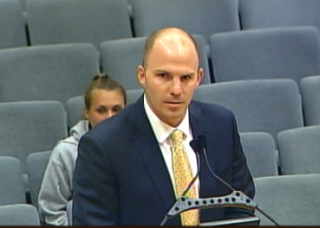 Cortines assured the committee that, like the testing devices purchased last year, these will also be available for instructional use once the Smarter Balanced tests are completed. However, three months into the school year, many of those tablets have yet to be delivered to classrooms. Although, several committee members expressed skepticism over the district’s timeline for purchasing and deploying the devices, Cortines assured them they would arrive by January, giving students ample time to become familiar with them. “It’s not fair to this community and the children that they’ve been denied the ability to practice while other districts have been practicing all year,” he said. Principal Jose Huerta from Garfield High School put a finer point on it.